4th of July is one of the most memorable ‘family days’ of the summer. Not only are we celebrating the birth of our nation, but we get to do so by spending the day outside in the warm summer weather with our families and friends. However one of the challenges of planning a party can be finding activities that both adults and kids can enjoy. What’s one of the easiest ways to please all your guests? An inflatable rentals! Guests of all ages can enjoy high-speed slipping and sliding, high-flying jumps, or high-stakes obstacle course races. Inflatable rentals aren’t the only way to take your party to the next level. It’s just not a 4th of July party without some classic, delicious barbecue. Some of our Space Walk locations offer event grill rentals that’ll put your backyard unit to shame. 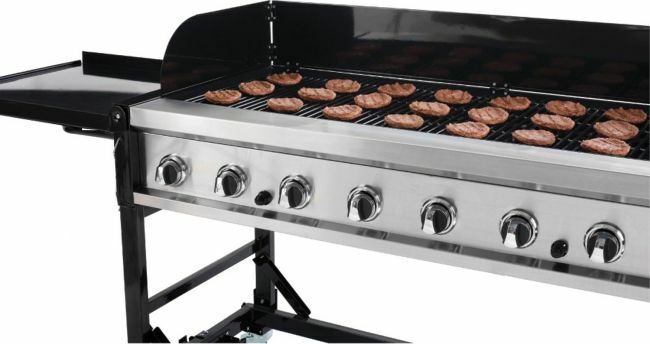 These eight-burner propane grills can cook up to 65 burgers or 126 hot dogs at once! 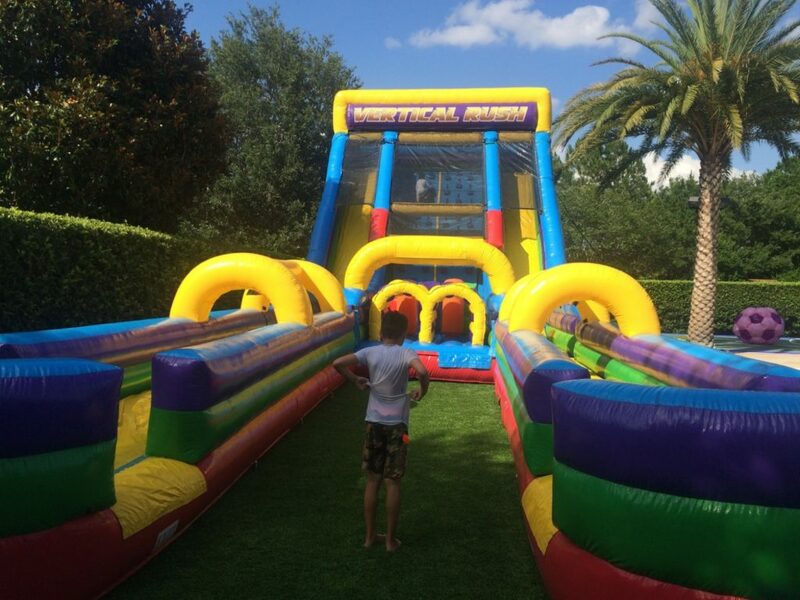 Minimize your time cooking, and spend more time enjoying the inflatables with your friends and kids. Prepare other dishes like potato salad and desserts ahead of time. That way, on the day of the party, all you have to do is lay out a festive tablecloth and put your dishes on the picnic table. 4th of July entertaining is all about making it as easy as possible. After a day of bouncing around and playing on your inflatable rental, really impress your guests by serving sno cones. You can rent a simple snow cone crank that will allow you serve up crushed ice that you can customize with any syrup you choose. Your guests will appreciate the cool treat, and you won’t have to do any more cooking! 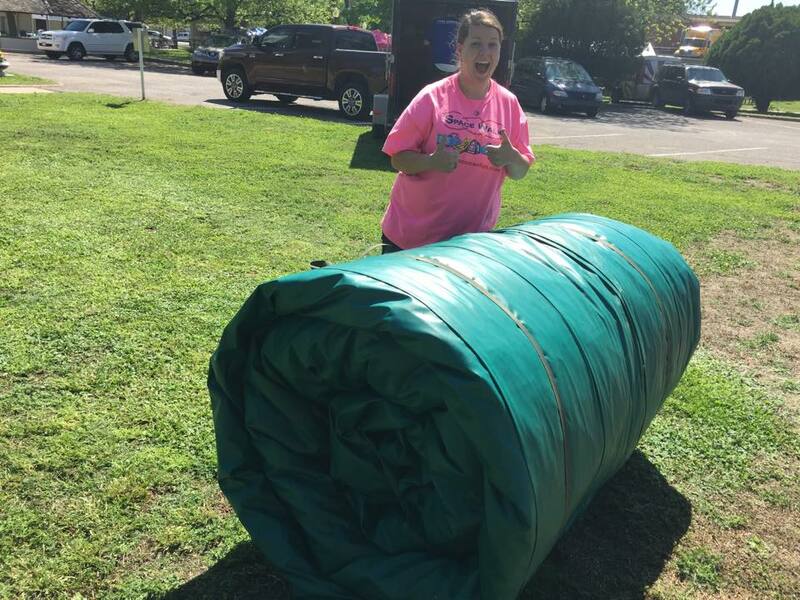 One of the best things about hosting a bounce house party is the cleanup. After a day of activities, you’ll be too tired to want to clean the whole yard. It’ll be a relief to see the professional staff come and efficiently remove the inflatables. Seeing the giant inflatables packed away will make it seem like the yard is almost back to normal. Take advantage of inflatables during these warm summer months when everyone wants to be outside. We’ve learned from experience that there’s no age limit on having a good time in a bounce house!